Victor A. Canto is Chairman and Founder of La Jolla Economics, an economic consulting firm and registered investment adviser with the State of California, located in La Jolla, California. Previously, he was Chief Investment Officer of Calport Asset Management and President of A.B. Laffer, V. A. Canto & Associates. He became a tenured Associate Professor of finance and business economics at the University of Southern California (USC) from 1983 to 1985. Dr. Canto was an Assistant Professor of finance and business economics at the University of Southern California from 1977 to 1983 and has been a Visiting Professor at the Universidad Central del Este in the Dominican Republic. He was a Visiting Professor of economics at the University of California at Los Angeles (UCLA) during the winter of 1987. During 1980, Dr. Canto was a consultant to the Financial council of Puerto Rico; during 1977, an advisor to the economic Studies Division of the Dominican Republic's Central Bank. During 1975 he was technical advisor to the Finance Minister of the Dominican Republic. Dr. Canto received a B.Sc. in civil engineering from the Massachusetts Institute of Technology in 1972, and a M.A. and Ph. D. in economics from the University of Chicago (1974, 1977). 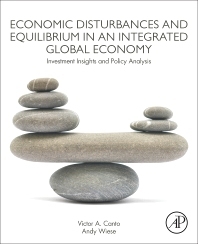 Dr. Canto has authored, edited, or co-edited a number of books, including the landmark Foundations of Supply-Side Economics, as well as Monetary Policy, Taxation, and International Investment Strategy; Supply-Side Portfolio Strategies; and Currency Substitution: Theory and Evidence from Latin America. He is the recipient of the Supremo de Plata awarded by the Dominican Republic JC to the outstanding young man of 1983, and the recipient of the University of Southern California University Scholar. He is the contributing author to The New Palgrave Dictionary of Money and Finance, a member of Chi Epsilon (the civil engineering honorary society), and the American Economic Association. Victor Canto's articles have appeared in many of the leading economic journals, including Economic Inquiry, Journal of Macroeconomics, The International Journal, Journal of Business and Economic Statistics, The Southern Economic Journal, Applied Economics, Weltwirstchaftliches Archiv, The CATO Journal, Public Finance, and The Journal of International Money and Finance. In addition to his principal fields of interest, International Economics, Public Finance, and Macroeconomics, Dr. Canto has been published in the Wall Street Journal and the Investor's Business Daily, authored articles on energy markets for the Public Utilities Fortnightly, and the Oil and Gas Journal, as well as a series of articles on portfolio strategy for the Financial Analysts Journal. He contributed "Exotic Currencies," to The New Palgrave Dictionary of Money and Finance, published by MacMillan Press Limited in 1992.